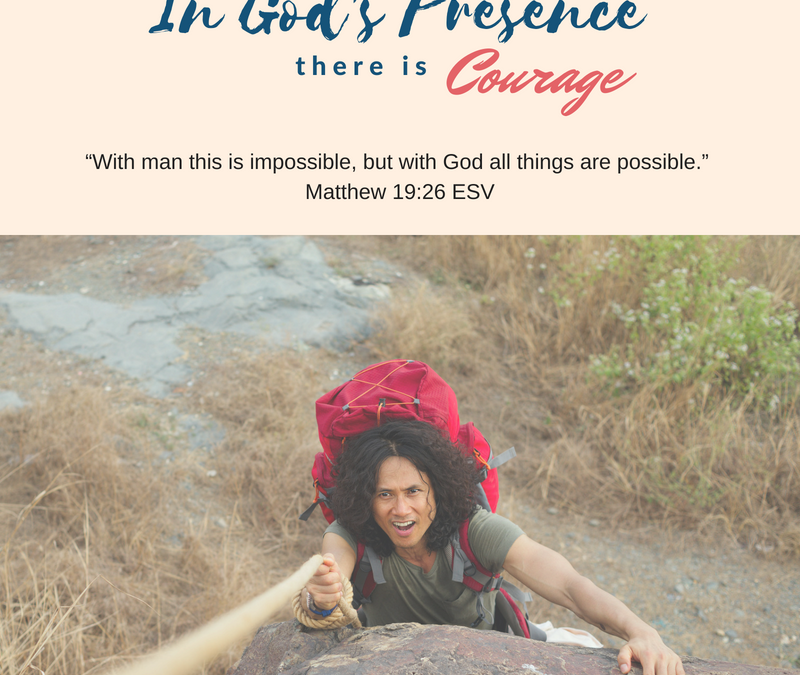 Today we are joined by Nancy Silvers with an encouraging word about courage. Many parts of our lives require courage. 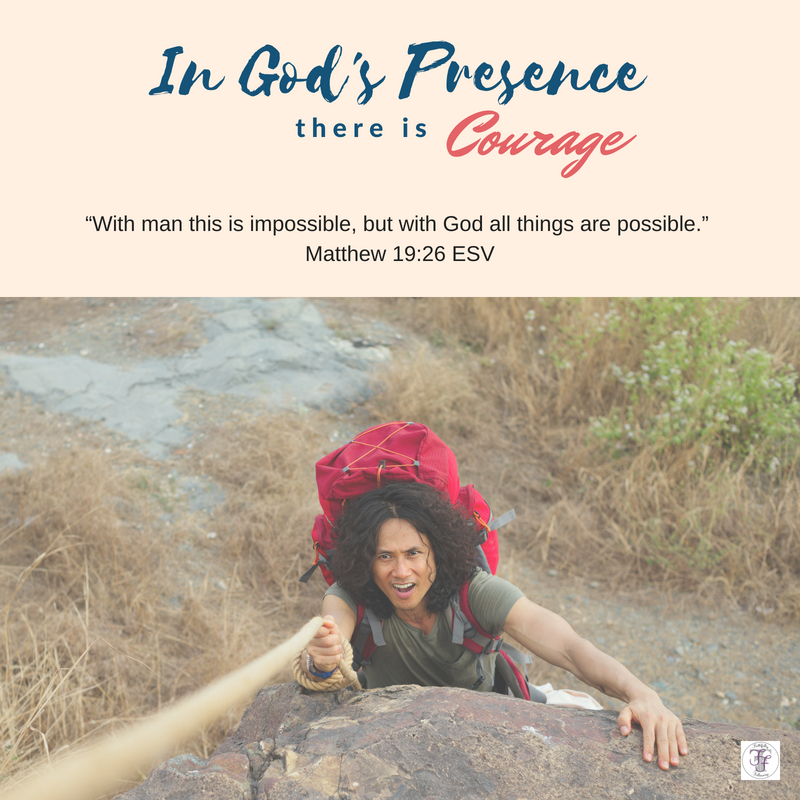 We pray that you discover that, with God, courage abounds, fear is squashed, and mountains are indeed surmountable. Finances were a stronghold that the enemy held over me. Fear of not enough, the fear consumed me and affected my life in such negative ways. I cannot tell you the stress I felt with debt mounting, my husband working 7 days a week, to just get by. I kept praying to God to fix this financial burden. I would tell God to bring my husband, Bill to a job that was just Monday thru Friday, about $25 an hour and one he loved. I kept telling God how to answer the pray—but it felt like my prayers were falling on deaf ears. I now know, God just had me in a waiting time for me to learn to trust with all my heart, no matter how much I didn’t understand and to allow him to make straight my path. I did the assignment and put the card aside. The following February I was cleaning off my desk and found the index card. I was frustrated by not receiving an answer from God, so I decided to try something. Every day I would read the card, no telling God HOW to do the impossible but just trusting him to give HIS best answer to this impossible situation. God answered that prayer in a way I could not have ever imagined. I was handed a check for $680,000 dollars on Monday, April 7, 2014. God’s answer to my prayer was so much better than what I could have imagined. It took great courage to STOP telling God how to answer my prayers. I wanted control, I knew best and I wanted things done my way. It also took great courage to listen to the leading of the Holy Spirit and not save any of that windfall. God was telling my husband and I to invest in people. We live simply but always have enough because now we have the courage to trust God. How much is God able to do? What is at work within us? Read 1 Samuel 17:37. Who does David proclaim will rescue him? Join us tomorrow for a talk on comfort. We love having you with us each day!